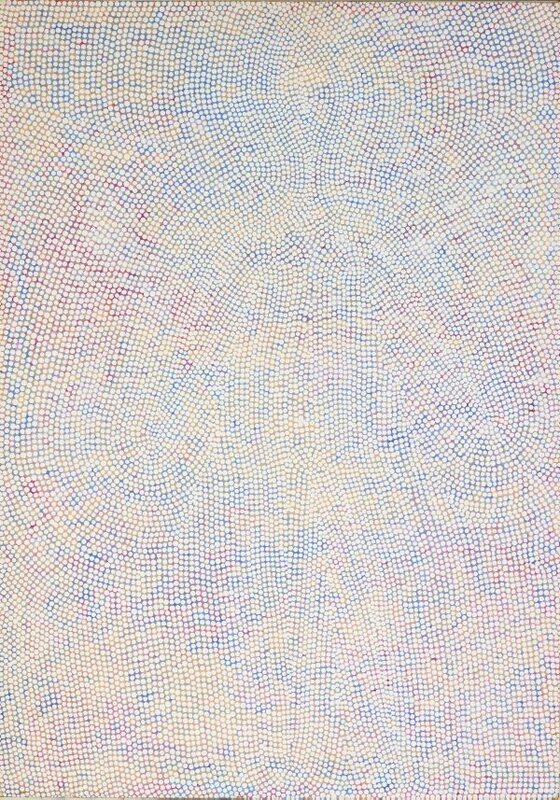 In 'Untitled' 1993, Cole painted dots in lines that curve across the surface, defining a form from the multi coloured background. These forms have been described in many ways: as deriving from ceremonial body markings; as suggesting the dramatic gorges that cut through rock formations in the desert near Mparntwe. 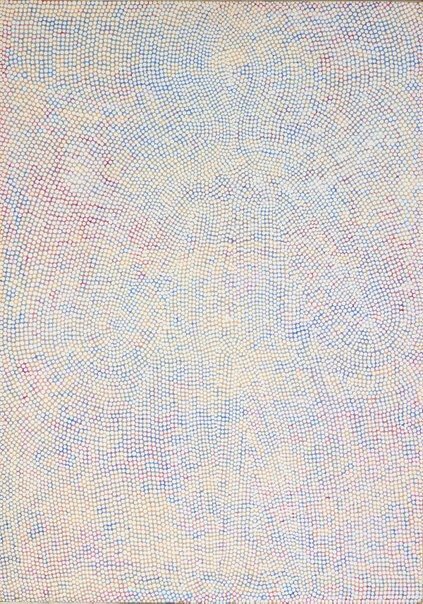 While these may all be possible sources or references in this work, the forms are also abstract, grounded in both traditional Aboriginal culture and a very contemporary painterly experimentation with colour and form.